Sometimes, when I am working on a challenging or laborious project, I feel as though I just want to sew something simple, a project that does not require a lot of brain power. 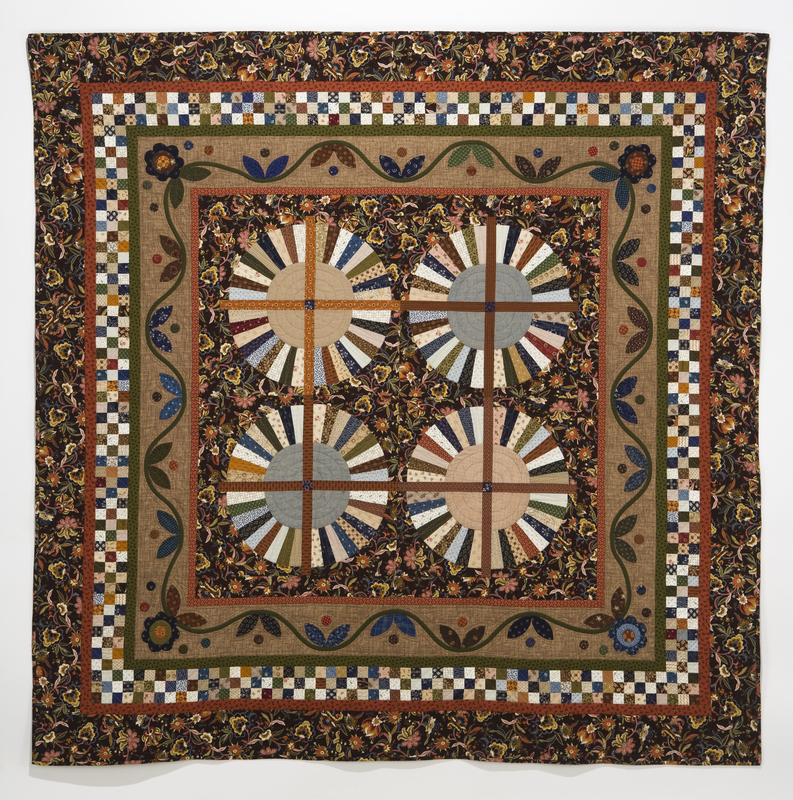 This is one of those quilts. 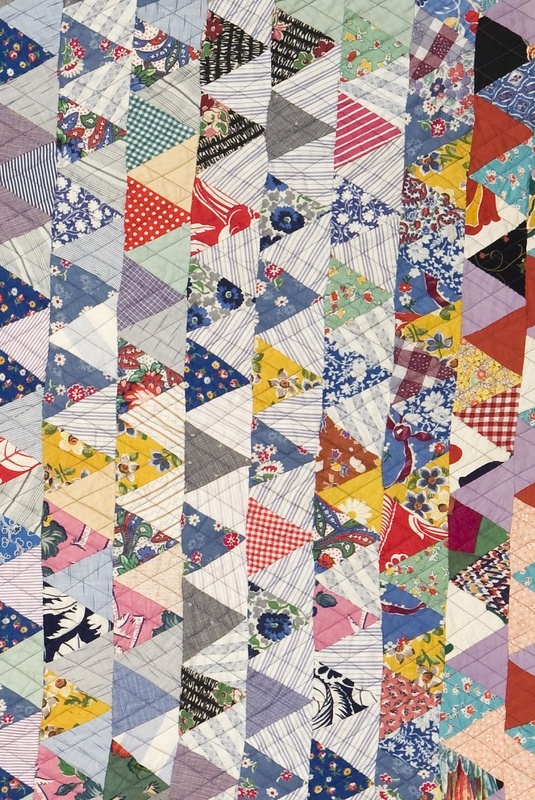 My daughter Maggie made a quilt for her college friend Kristin (see that quilt at the bottom of this post), and she gifted me all the leftover pieced scraps, as well as some of the remaining yardage. Just sewing one piece to another, squaring them up, and sewing on something else was very relaxing and gave me this quilt. 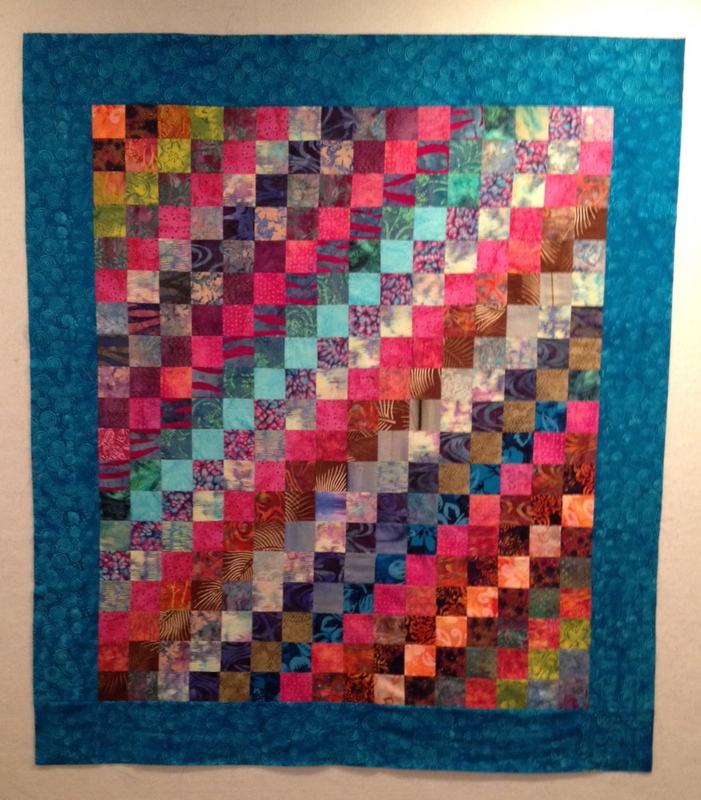 I quilted wavy lines up and down the pieced columns, put diamonds in the spacing columns, and double diamonds in the borders–very simple. Just another example of the wonderful philosophy of never throwing away anything, especially if the scraps are already matched and sorted and were previously used for a proven winner! My most recently completed project, this Wheel Medallion represents a true labor of love, which included my continuing to learn all the do’s and don’t’s of the medallion process. 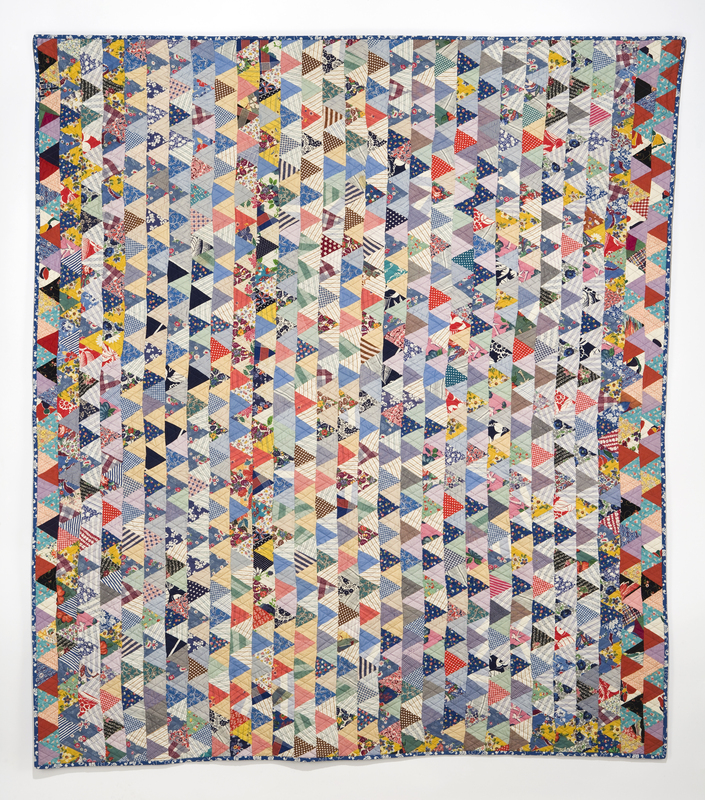 There were two inspirations for this quilt. The first was finding this brown fabric on the discount table at a local fabric store; I bought all they had. When I started working with the medallion concepts, I thought this fabric would be a good one to use, mainly because of all the different colors included in the fabric. 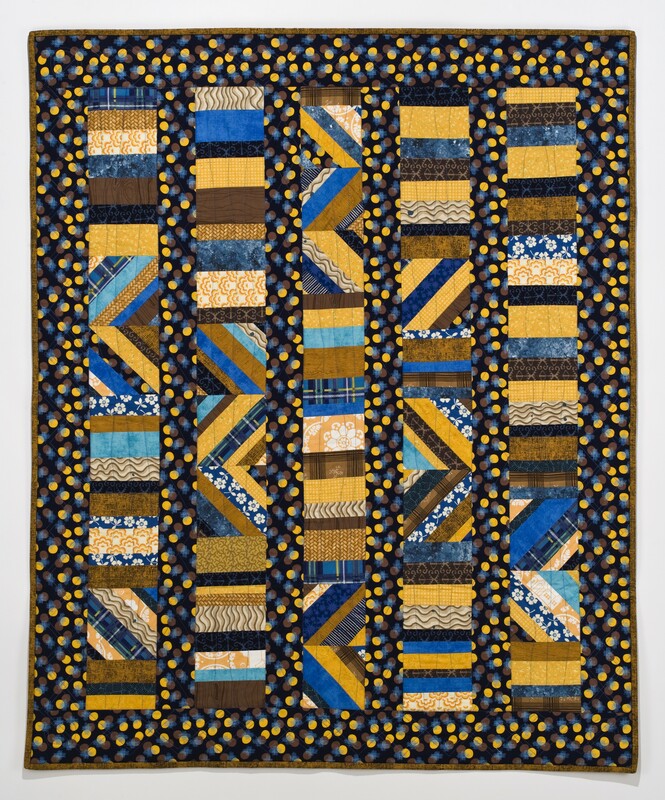 I loved the deep blues in the print, so my original assumption was that this would be a predominately blue quilt. FAIL As with all of the medallions I have made so far, assumptions made at the outset of the project fall by the wayside almost immediately. 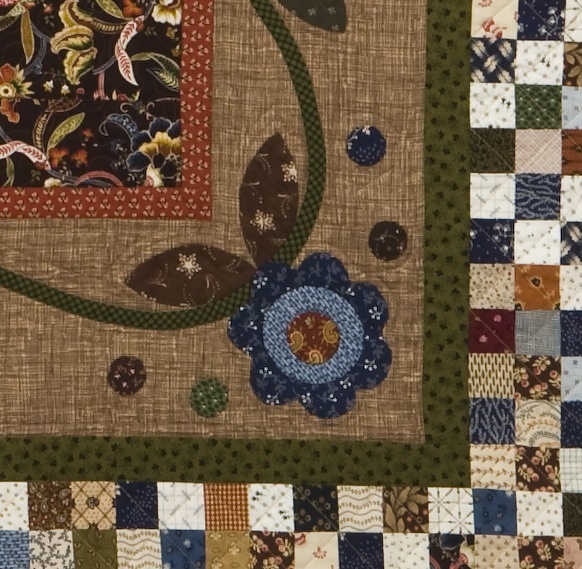 This quilt definitely wanted to be brown and rust. These wheels were foundation-pieced, and I made so many that you will see quite a few more of them in a different configuration in posts to come. Anyone who knows my work understands that I discard almost nothing leftover from a project, using as much as I can for some other use in the future. 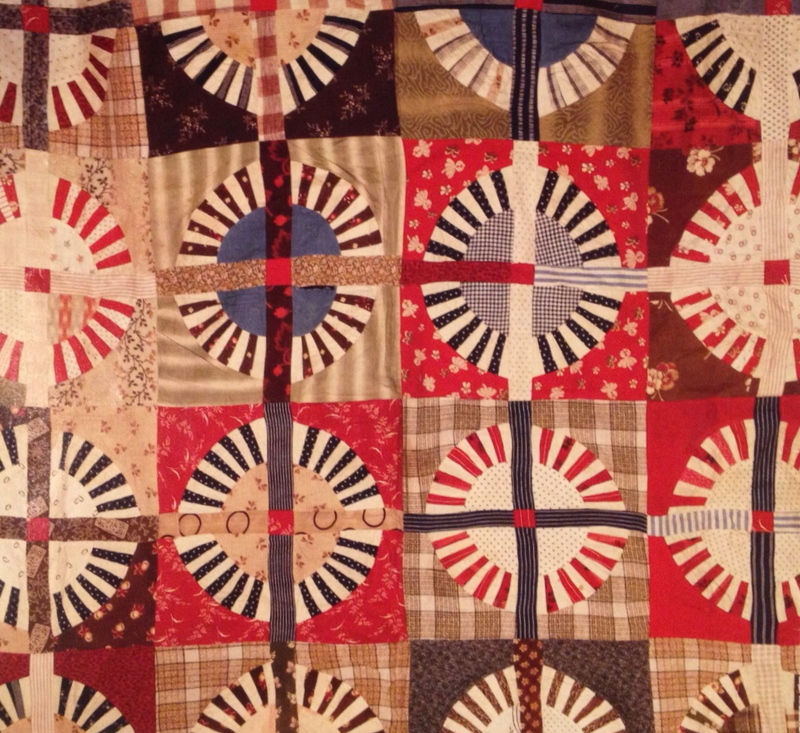 This quilt was also one of my first attempts at a large applique project. Turns out I love the look, even though the hand work is a bit time-consuming. Quilting this piece was also quite a challenge for me. 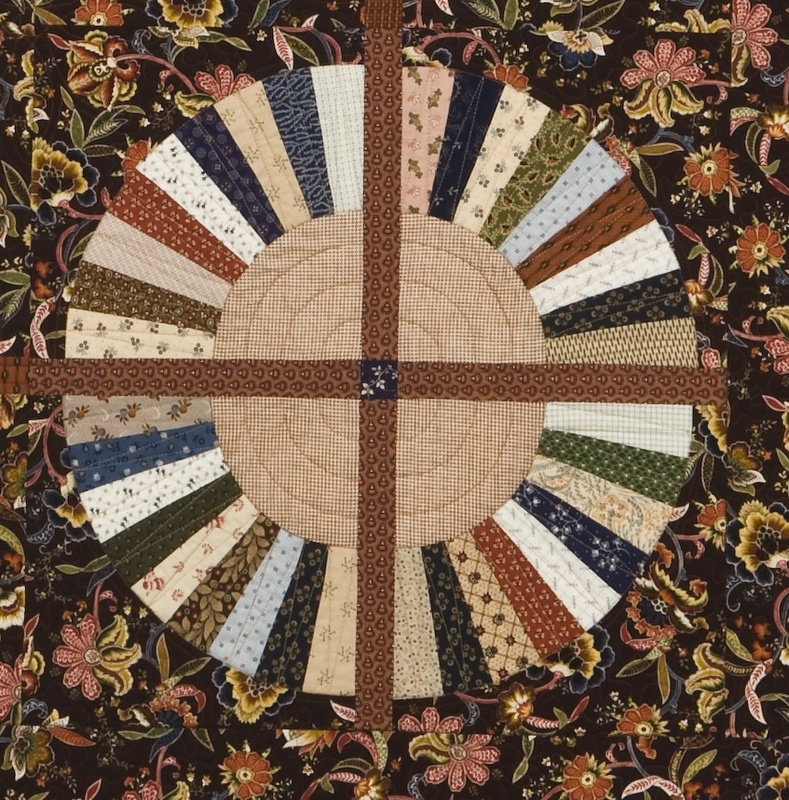 Each different area of the medallion seemed to call for its own special quilting, so I tried to oblige. 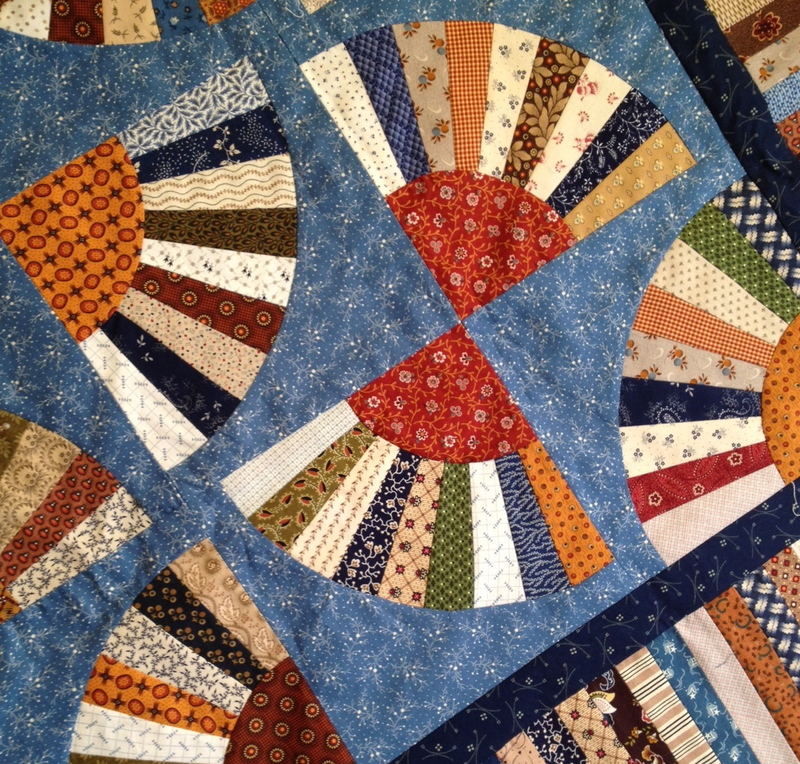 Below is a photo of the second inspiration for my Wheel Medallion, a vintage quilt seen in a showing at the Lesher Center in Walnut Creek, CA. 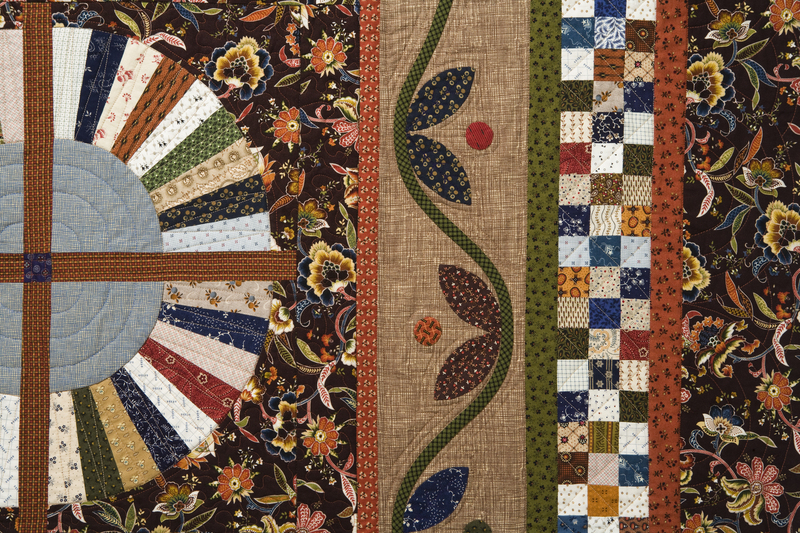 I continue to be inspired by the quilts from past eras and am most grateful for the art and the skills of the quilters who have come before me.